The IonLic products are a range of ionic liquids for preparing electrolytes. They can be used as additives in solvent-based electrolytes, as well as solvent replacements in non-volatile electrolyte formulations. 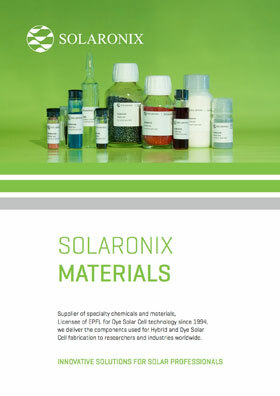 Since Solaronix makes Dye Solar Cells in-house, the purity of our ionic liquids is specifically targeted for solar cell applications. Our Iodolyte and Mosalyte electrolytes are taking advantage of the same IonLic components.